Through a Green Lens | Fresh green news, politics, and culture. Fresh green news, politics, and culture. WITH VIEWS BOTH WIDE-ANGLE AND TELEPHOTO, THROUGH A GREEN LENS IS A GREEN CULTURE BLOG BRINGING YOU THE LATEST IN ART, ACTIVISM, SCIENCE, AND INNOVATION. Posted on April 26, 2012 by David R.
This entry was posted in Environmental, Wildlife and tagged agriculture, bees, EPA, News, science, Wildlife. Bookmark the permalink. Posted on April 16, 2012 by David R.
This entry was posted in Environmental, Wildlife and tagged agriculture, bees, colony collapse disorder, News, pesticides, science, Wildlife. Bookmark the permalink. Posted on March 18, 2012 by David R.
This entry was posted in Environmental, News and tagged California, conservation, environment, Hetch Hetchy, San Francisco, Yosemite. Bookmark the permalink. Posted on January 10, 2012 by David R.
This entry was posted in Art, Design, Fashion, and Film, Uncategorized and tagged art, graffiti art, Green, NYC, street art. Bookmark the permalink. Posted on June 1, 2012 by David R.
Talladega National Forest, located in eastern Alabama, is one of the state’s most valuable natural resources. The forest includes crucial water sources for nearby towns, as well as habitat for threatened and endangered species. It’s also a popular destination for hikers, campers, hunters, and bikers, attracting an estimated 600,000 visitors each year. Despite all this, the Talladega Forest has been targeted by Big Oil and Gas. On June 14, the Bureau of Land Management (BLM) plans to sell drilling leases for 43,000 acres of the Forest. There may not even be enough gas under the forest to warrant drilling, but, if there is, it might be accessed with hydraulic fracking. 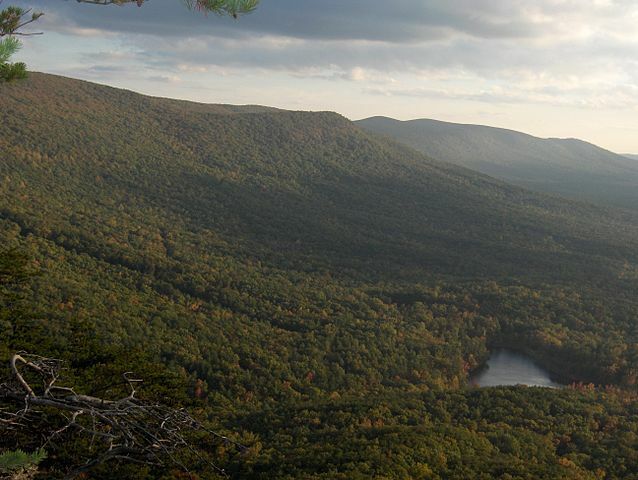 Gas drilling in Talladega National Forest threatens the health of nearby communities. As I’m sure you know, fracking consumes millions of gallons of freshwater–a resource we can’t afford to waste–and produces vast amounts of toxic “flowback” that can contaminate water supplies. Plus, a recent study found that fracking chemicals can reach underground aquifers much faster than previously thought. The BLM’s decision to sell leases in the Talladega is based on a 2004 study conducted by the Forest Service. But this study is outdated and woefully inadequate–it doesn’t even mention fracking. The USFS and the BLM have not conducted their due diligence in terms of assessing the potential impacts of this heightened level of industrial oil and gas development and may well be in violation of federal law, especially the Endangered Species Act, in this regard. Selling oil and gas leases constitutes an irretrievable commitment of resources and is among the activities regulated under the ESA. The good news? We still have time to halt the drilling leases in Talladega National Forest and protect nearby communities from exploitation. The local anti-fracking movement is building momentum, and we need your help to secure a victory. Please sign this petition demanding the BLM stop leasing National Forest land for oil and gas drilling. This is a federal lands issue, so it doesn’t matter where in the U.S. you live. A win in Alabama will forward the anti-fracking cause nationwide, because it will prove that the value of clean water and healthy ecosystems transcends partisan politics. So, please take a minute to support our efforts to safeguard the public health from fracking, in Alabama and throughout the country. If you’d like to get more involved, contact Wild South at 256-974-6166, or at WildSouth.org. And, if you want to delve deeper, you can read the detailed letter of protest filed by the Southern Environmental Law Center. Get the latest in green delivered right to your inbox!